Considering the immense popularity of Tension Control bolting system in the construction industry, there are certain things that should be taken into account while purchasing tension control bolts. 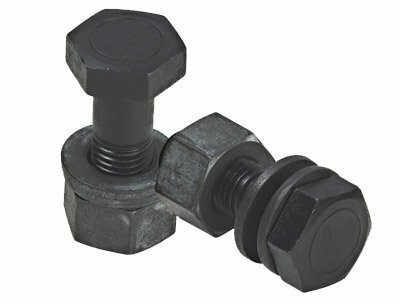 There are mainly two types of TC bolts that are being widely used. They are A 325 TC bolts and A490 TC bolts. Let us now have a look at some of the points that need to be considered before purchasing these bolts. The first and foremost thing that one should do is to check the reliability of the manufacturer. It is always advised to purchase from manufacturers who have considerable experience in the industry. The manufacturer should have performed all the quality control tests required to ensure that the bolts can meet the desired tolerance requirements and quality standards. Moreover, check whether the manufacturer has got the complete range of bolt sizes available with them. Talking about experience, we have been in the industry for 20 years and are a major distributor of tension control bolts. We make sure that each component of A325 and A490 TC bolts undergo the quality control tests to meet the tolerance requirements and integrated standards. Following are the tests that we conduct to ensure the quality of TC bolts. It is a standard testing method for high-strength fasteners. It is done by placing the bolt, nut and washer assembly in calibrated tension reading equipment. The bolt is then tightened until the spline shears off, exactly the same way when being installed in a steel connection. Tension reading is recorded at this time to assure minimum and maximum tension requirements. When it comes to availability of different sizes of TC bolts, one can completely test BACO Enterprises. We make available all the possible sizes of tension control bolts that one may need. One may also consider sourcing A 325 TC bolts and other high strength fasteners from Baco Enterprises for quick delivery and competitive price. It is the careful and experienced work of our tension testers that we are able to source high quality tension control bolts with impeccable speed. When it comes to TC bolts, trust only the best!